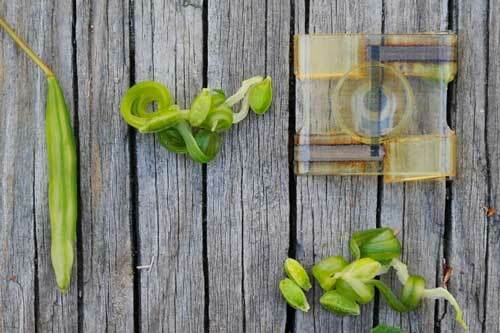 (Nanowerk News) As 3-D printing has become a mainstream technology, industry and academic researchers have been investigating printable structures that will fold themselves into useful three-dimensional shapes when heated or immersed in water. In a paper appearing in the American Chemical Society’s journal Applied Materials and Interfaces ("3D-Printed Self-Folding Electronics"), researchers from MIT’s Computer Science and Artificial Intelligence Laboratory (CSAIL) and colleagues report something new: a printable structure that begins to fold itself up as soon as it’s peeled off the printing platform. 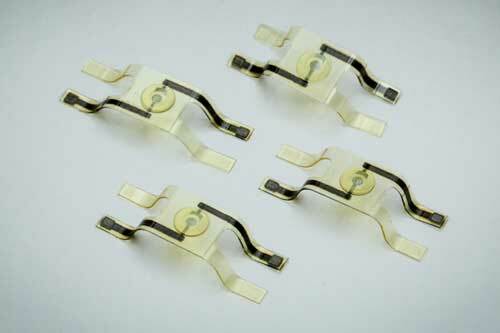 “This work is exciting because it provides a way to create functional electronics on 3-D objects,” says Michael Dickey, a professor of chemical engineering at North Carolina State University. “Typically, electronic processing is done in a planar, 2-D fashion and thus needs a flat surface. The work here provides a route to create electronics using more conventional planar techniques on a 2-D surface and then transform them into a 3-D shape, while retaining the function of the electronics. The transformation happens by a clever trick to build stress into the materials during printing."